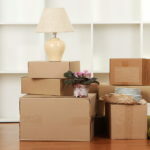 EasygoMover is one of the most trusted moving companies located in Attleboro Massachusetts.Our first goal is to "Help". EasygoMover work with customers in all categories of class with no discrimination; Our single mothers has some specials attention in all our services. Esperando Fleurine founder of the company. EasygoMover still believe in the founding principles: integrity, industry expertise, and old-fashioned hard work. We love what we do and our passion for moving is reflected in our attention to the smallest details and the care we give to each and every piece we move. It is this passion for perfection that makes our customers everywhere in Massachusetts the kind of satisfied customers that will spread the word about us. We start in 2017 our satisfaction rate was consistent at over 97% of our customers saying that they would clearly use us at the time we were EasyGo PRO to EasygoMover again on their next move and that they would recommend us to their friends. Our founder Esperando Fleurine with his determine team has for goal to provide each and every customer a professional and efficient moving experience that will make every EasygoMover customer a customer for life. Our professional movers receive the most extensive training in the industry. Our professionals are friendly, experienced, multi-languages , English speaking, Haitian creole, French, Spanish and more.